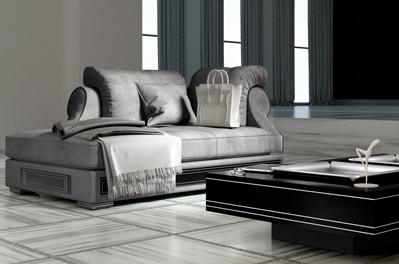 Vismara Design Sofa collection includes different models, each one with distinctive features and specific strong points. 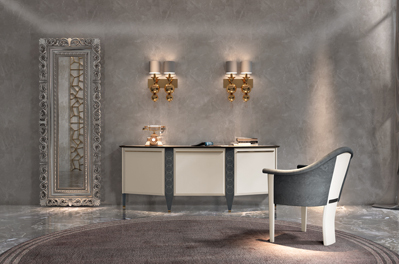 The Chest Nouveau is the most classical and refined one, characterized by the cherished handmade capitonné, executed as ancient traditions teach. 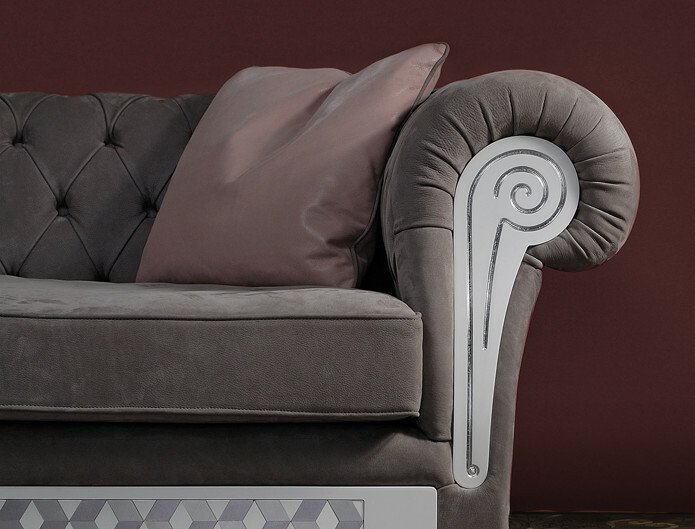 The Comfort Nouveau model is a contemporary upholstery, whose first characteristic is the incredible comfort of the seating. 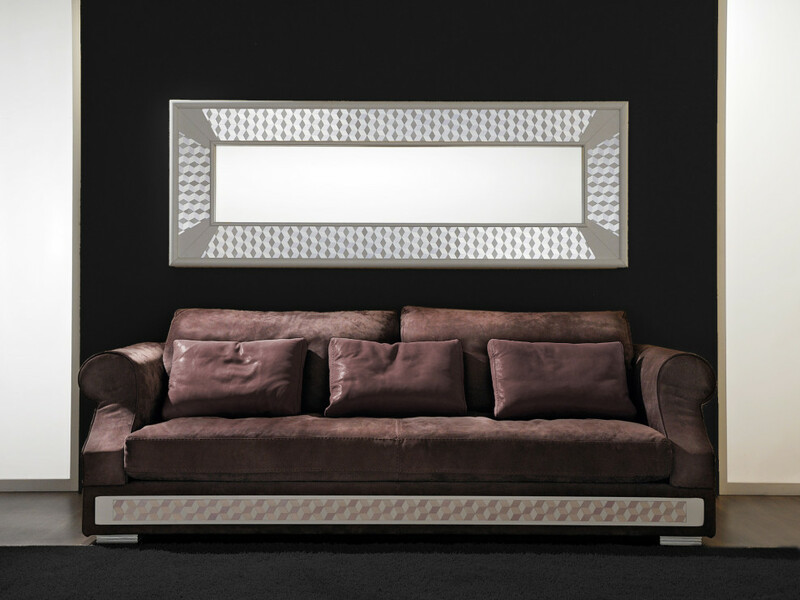 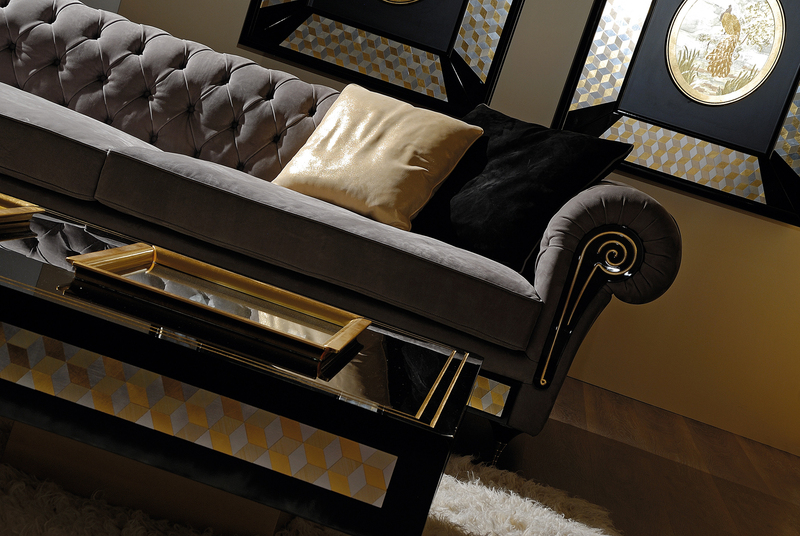 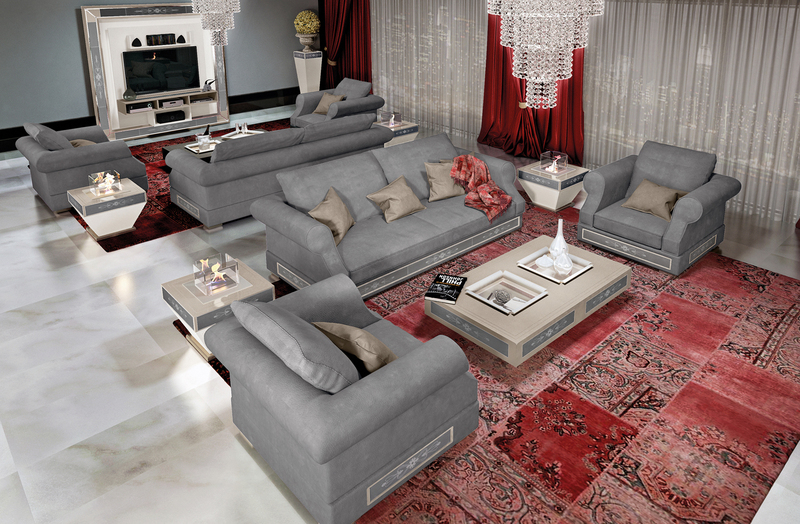 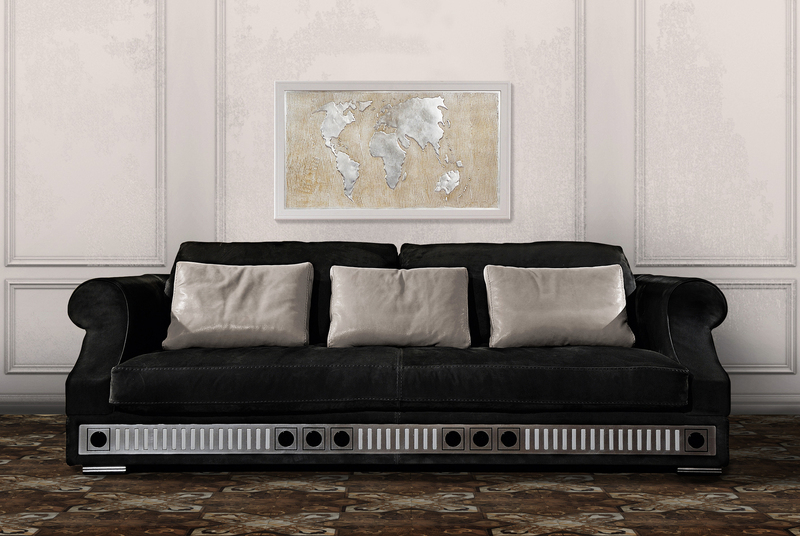 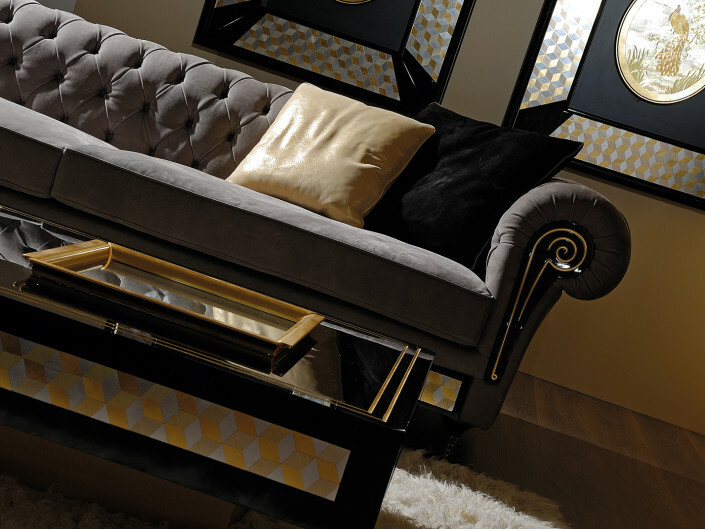 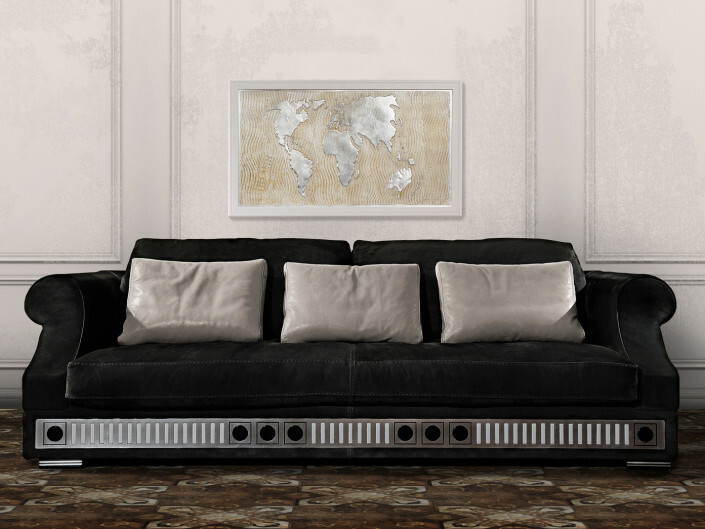 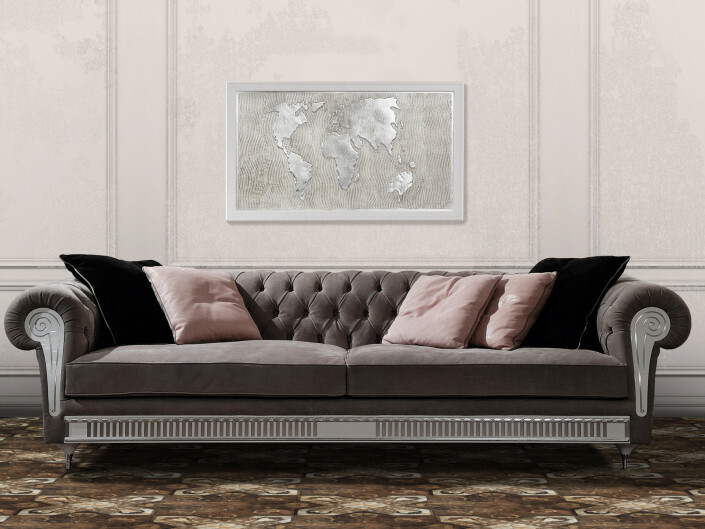 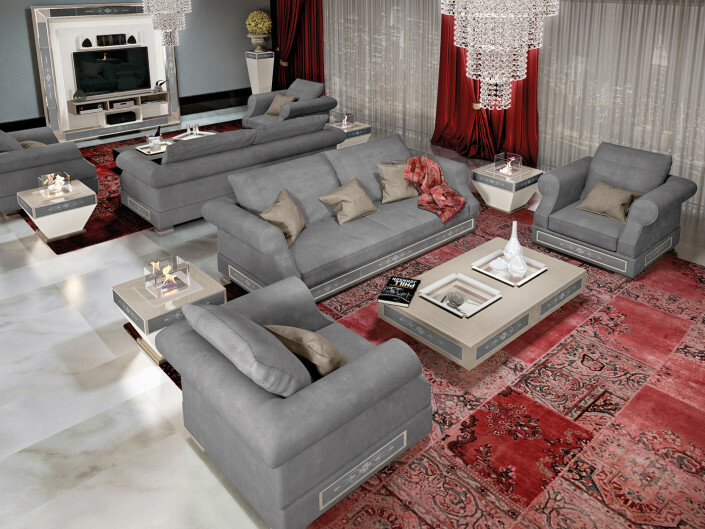 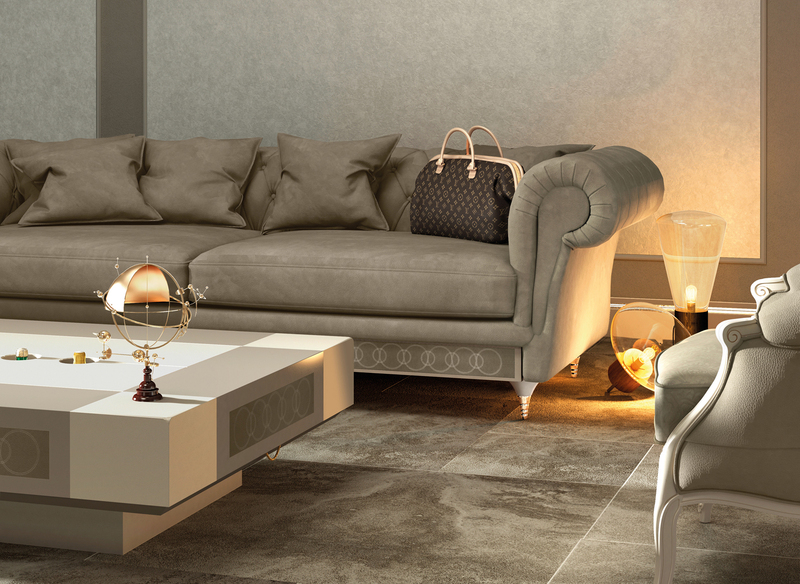 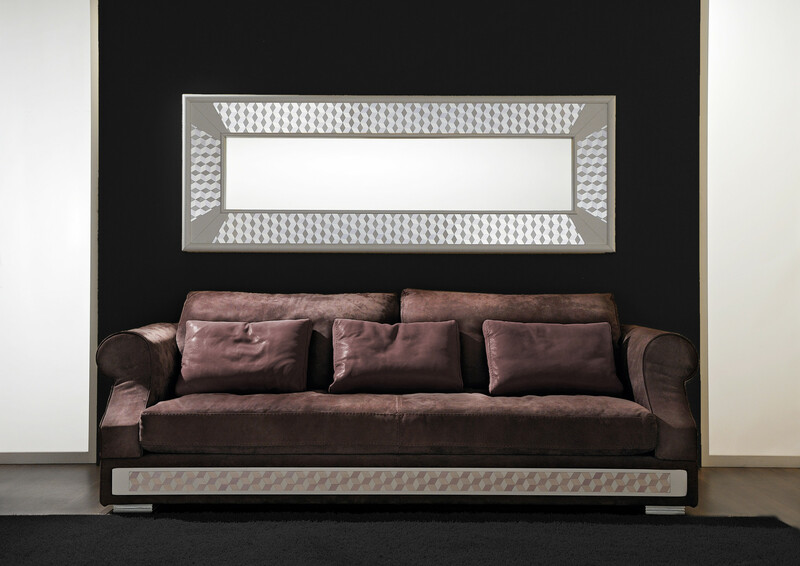 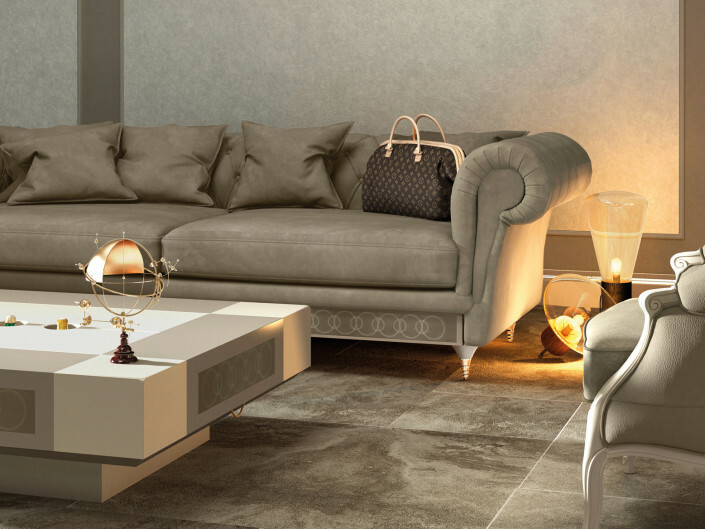 Both the Chest and the Comfort sofas can be enriched with countless decoration on the bottom part: wood carving, handmade mosaik, Murano glass tiles and gold/silver leaf to inlaid woods, embroidered leathers, marbles and more over. 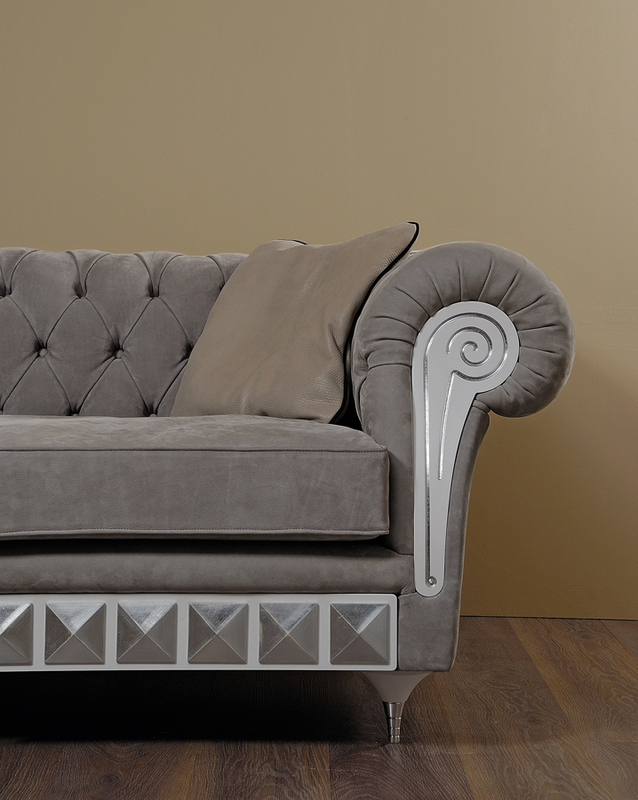 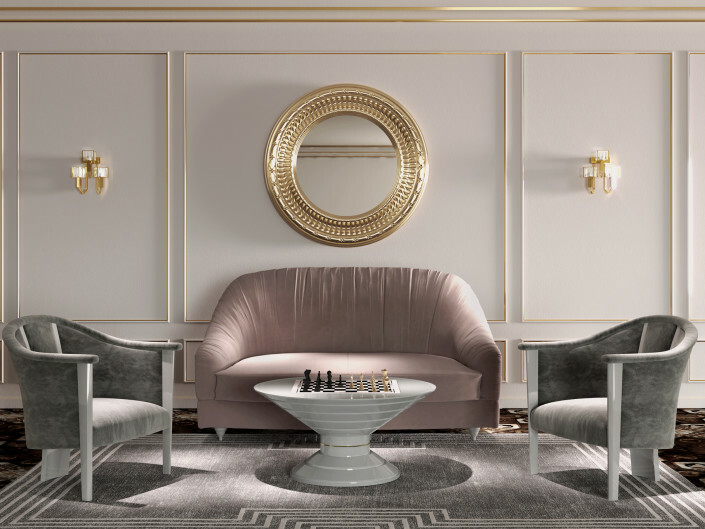 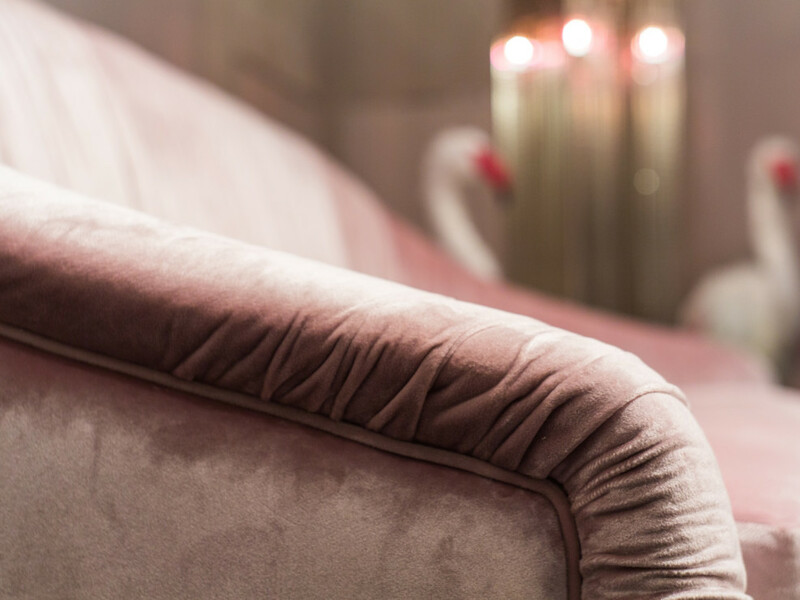 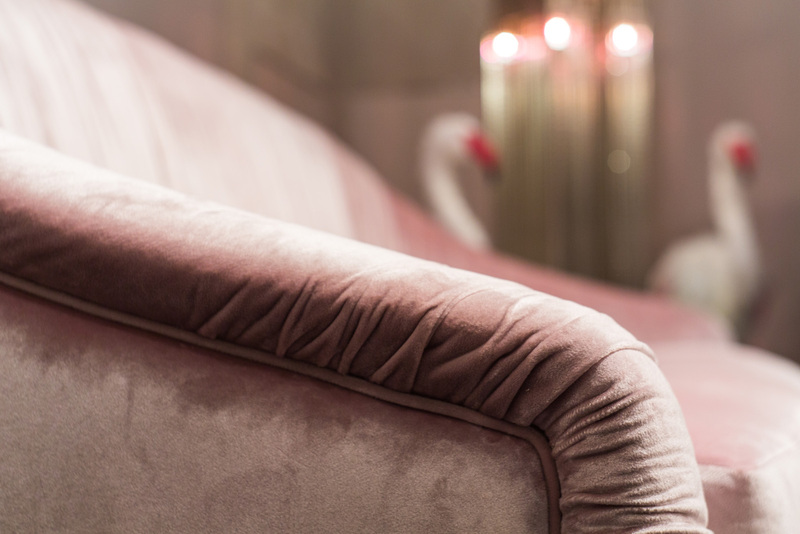 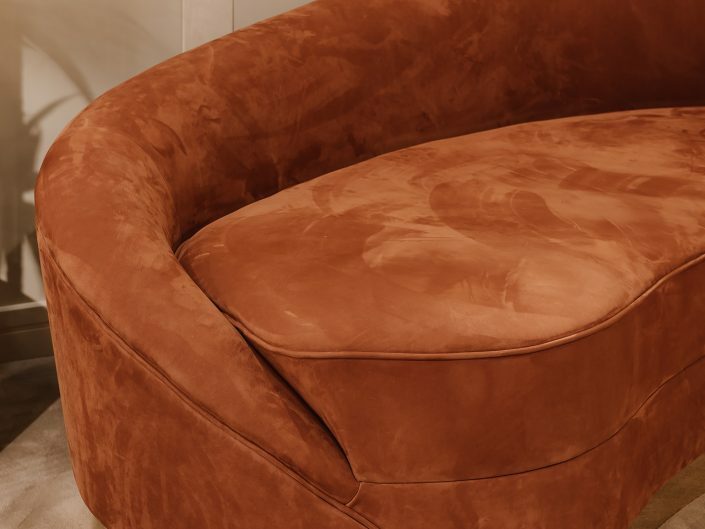 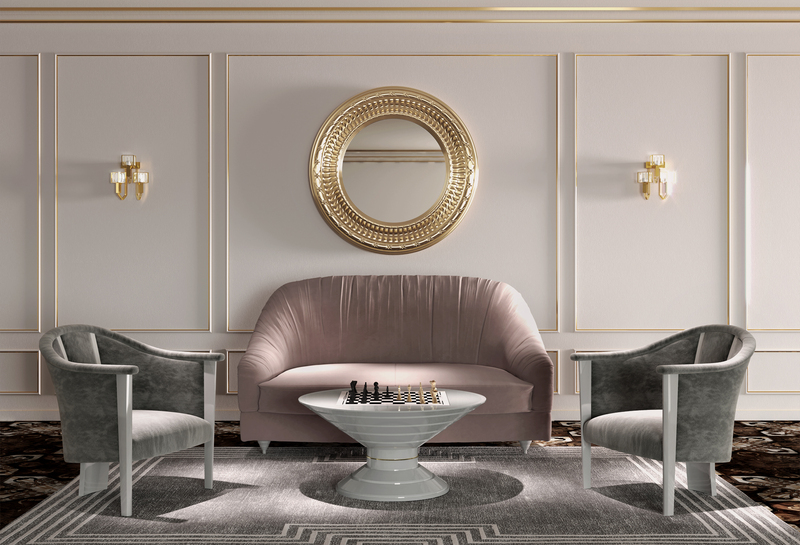 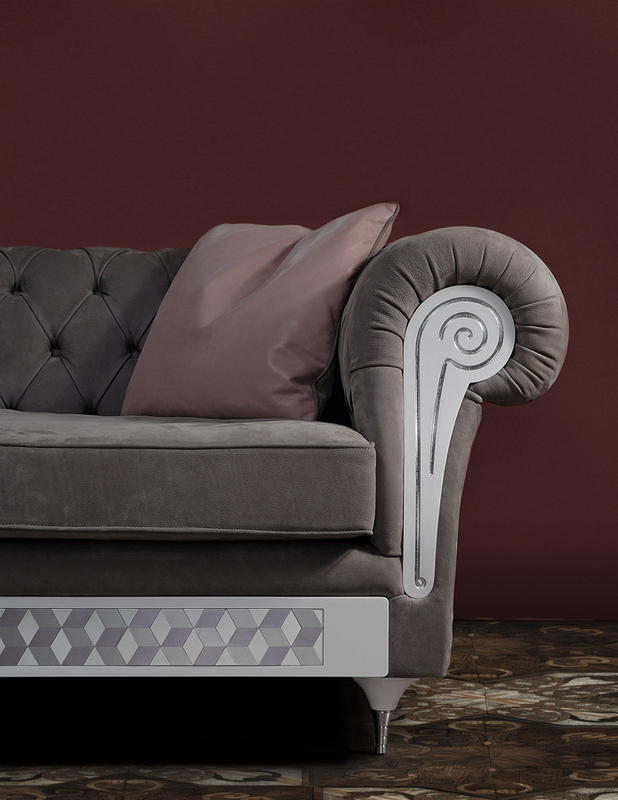 The Vintage, Bijoux and Elegance models are little sofas with a romantic touch and capitonné manufacturings that made them little jewels for the home. 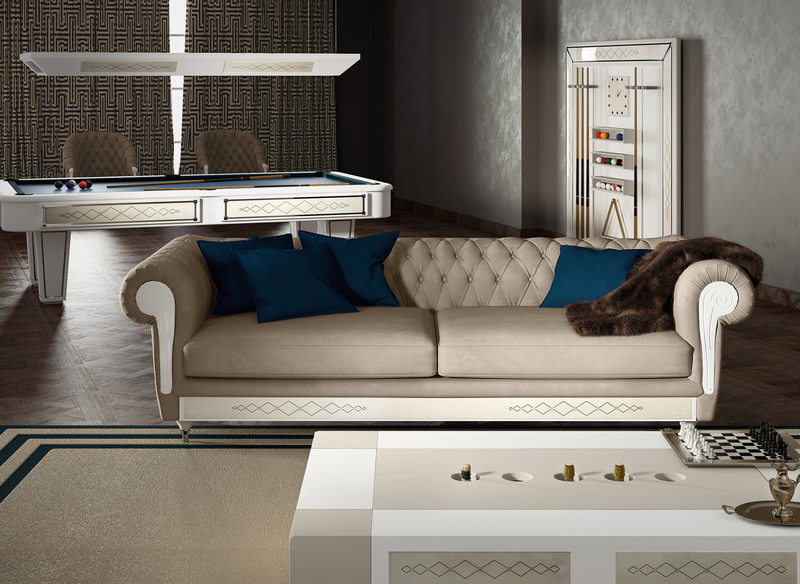 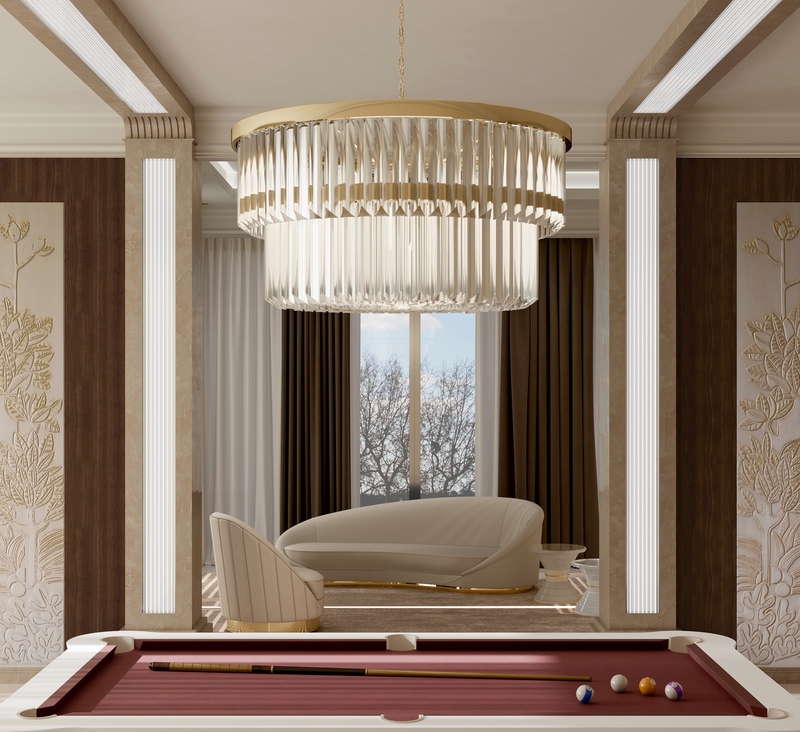 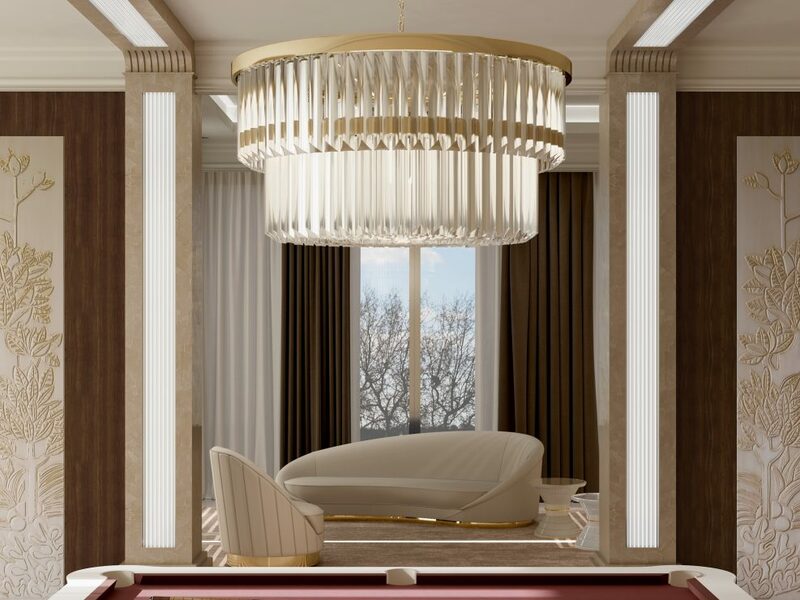 The latest models of Luxury Entertainment Collection are characterized by contemporary and fashionable design. 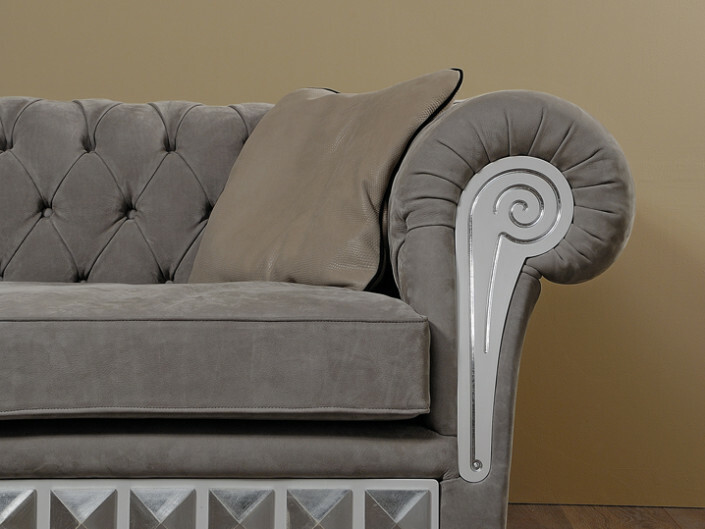 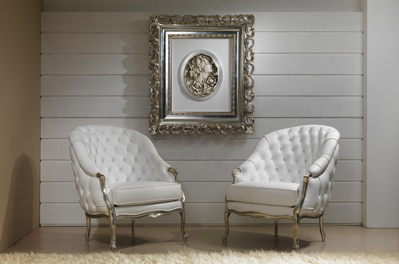 Nuage model stands out for the decorative ruffle on the backrest which make it an original and inspired product. 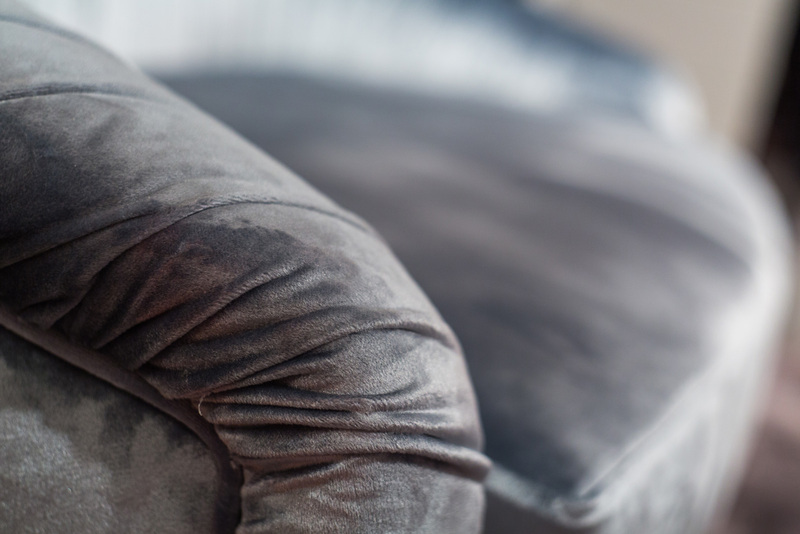 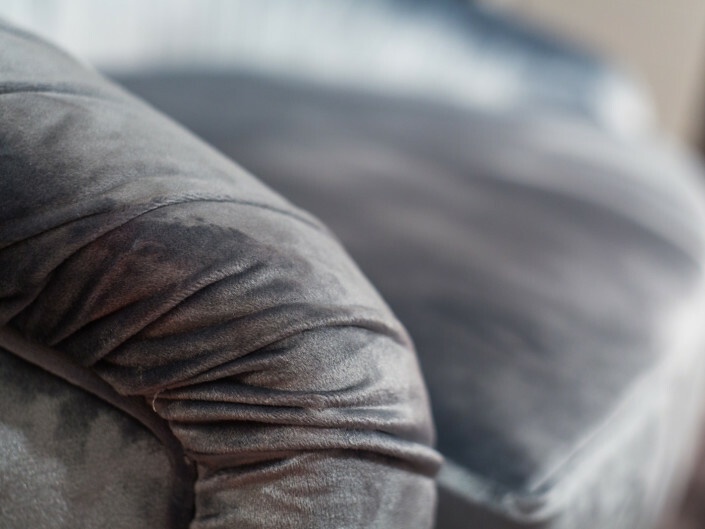 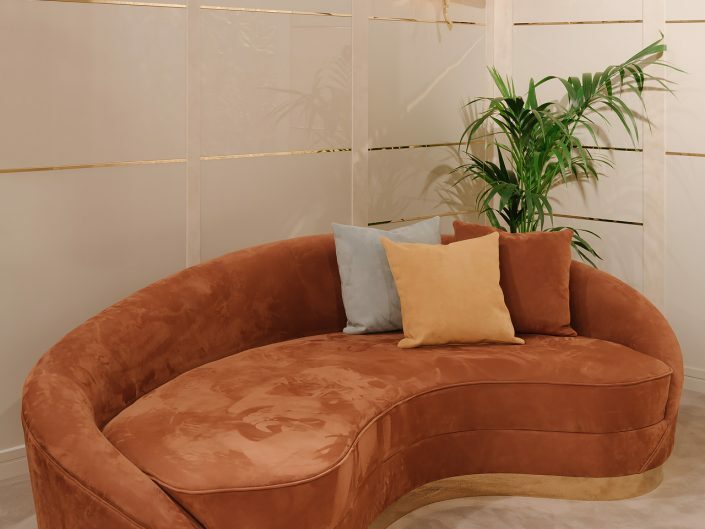 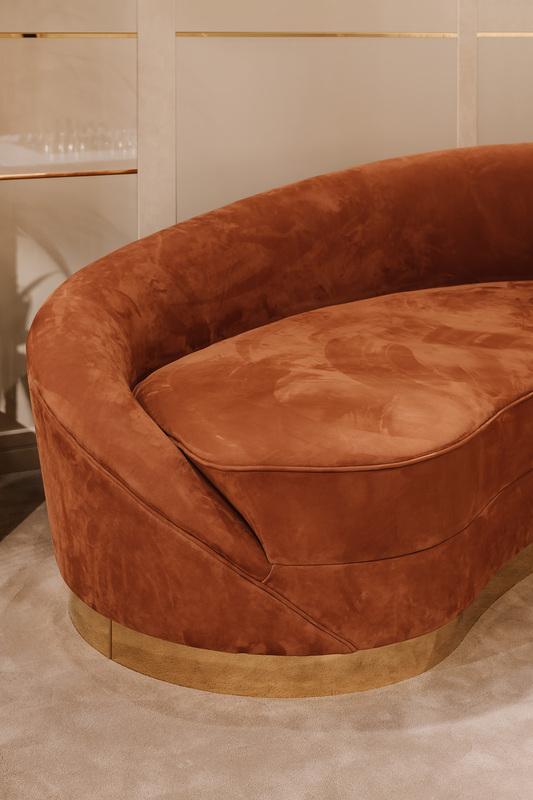 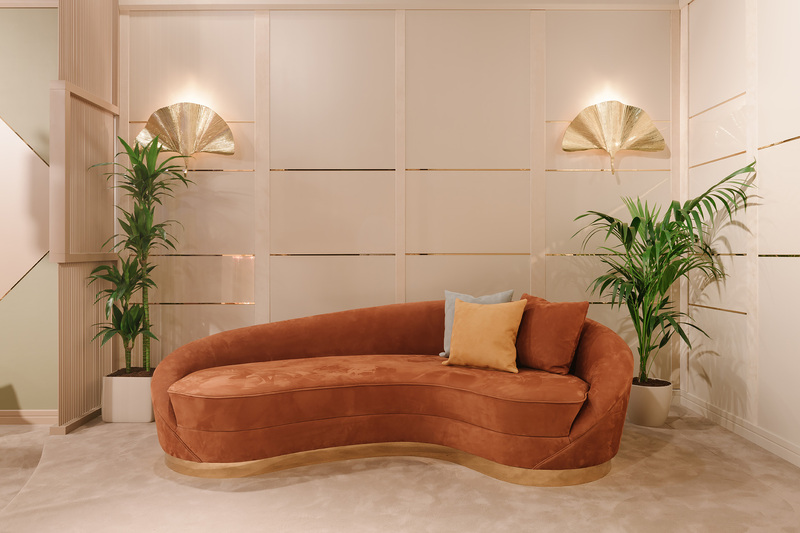 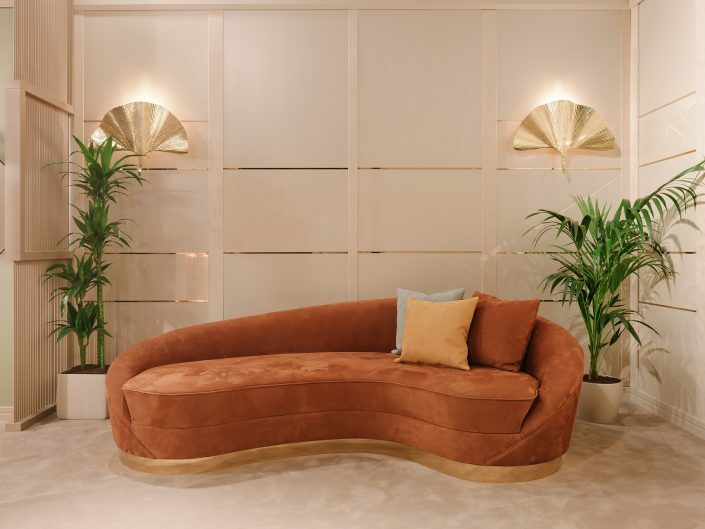 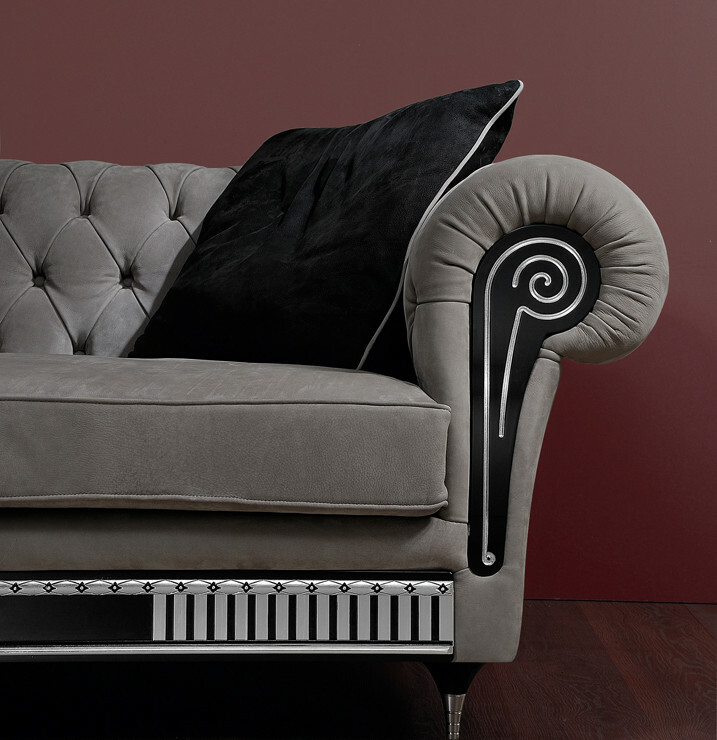 The brand-new Wavy curved sofa is characterized by sinuous lines and timeless design. 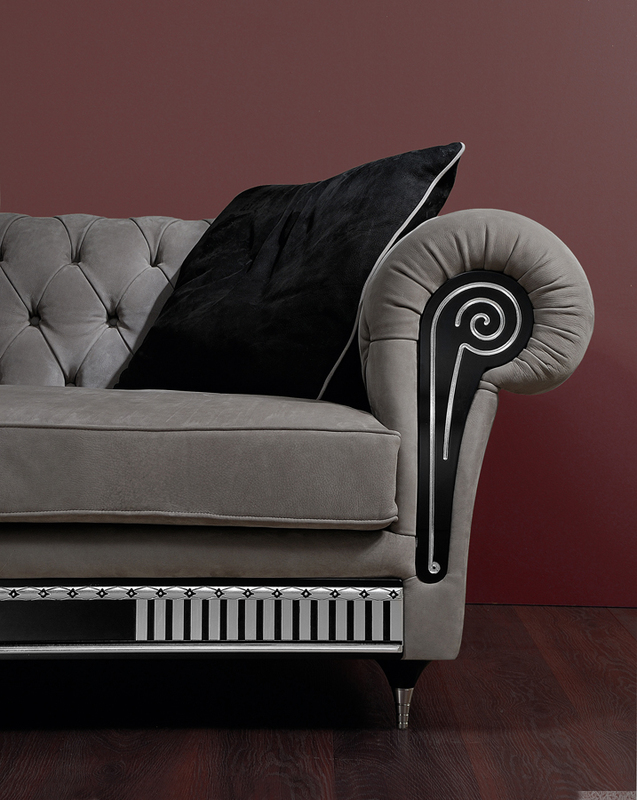 It is enriched by a golden steel base which gives light and brilliance to the entire seat. 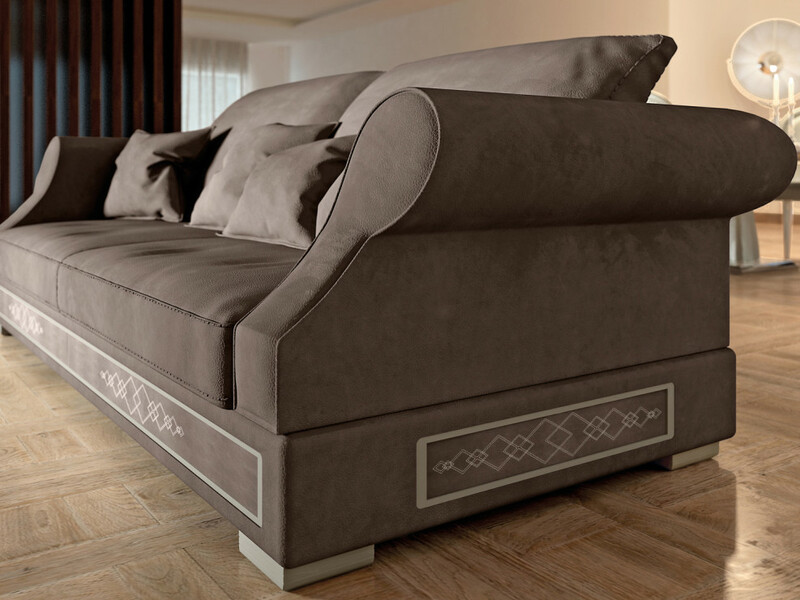 The structure of all Vismara sofas is in solid wood and the use of first choice materials ensure an absolute durability in time. 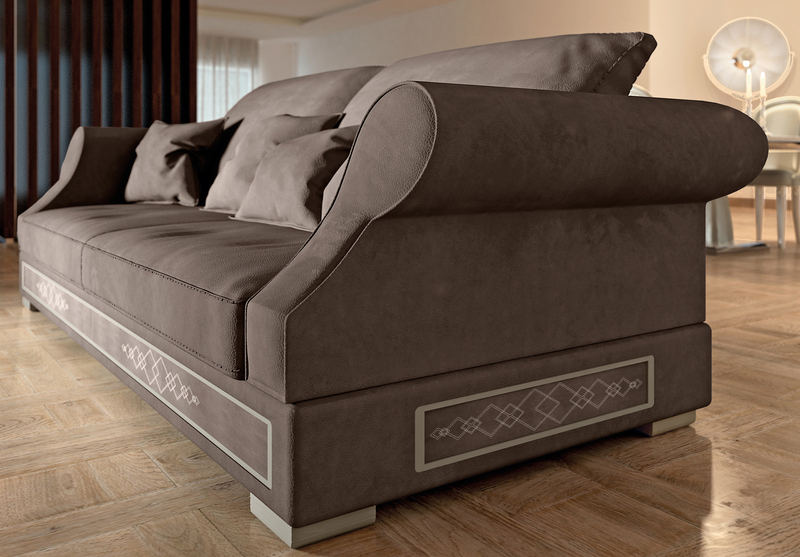 Each model can be realized with different covers like leather, Nabuk, eco-nabuk, velvet and all of clients favorite fabrics.